The Mornington Peninsula and Point Nepean National Parks will be offering FREE Easter school holiday activities encouraging the kids to explore nature and the great outdoors. Children aged 6 to 12 can join in with a program to search for critters of the wild on the region's rocky shores and waterways as well as explore the Peninsula's ANZAC and pioneering history. The Ranger led programs, running from 30 March until 9 April, 2015 will involve activities such as 'Tour de Forts', which will lead kids though a maze of underground tunnels and Gun Emplacements at Fort Nepean, covering defining moments in WWI history. Moving onto the 'Picture Puzzles' activity, little adventurers will get the opportunity to unlock the history of the past around the Quarantine Station, learning more of the early settlers and lighthouse keepers' families that lived in the historic region. The Coolart Homestead and Wetlands will host a memorable 'Art in the Park' activity in the morning, followed by an 'I Spy a BIG House' game in the afternoon to capture kid's creativity and imagination. Mini wildlife warriors will enjoy the 'Rock Pool Rambles' encouraging kids to explore underwater treasures and rocky shoreline creatures along London Bridge beach, and the 'Water Watch' activities at Greens Bush invite budding scientists to discover the underwater world of the waterways through microscopes, nets and wetland exploring. Venues: Greens Bush, Main Ridge; Quarantine Station, Point Nepean; London Bridge, Portsea; Coolart Homestead and Wetlands, Somers and Gunners Cottage, Point Nepean. 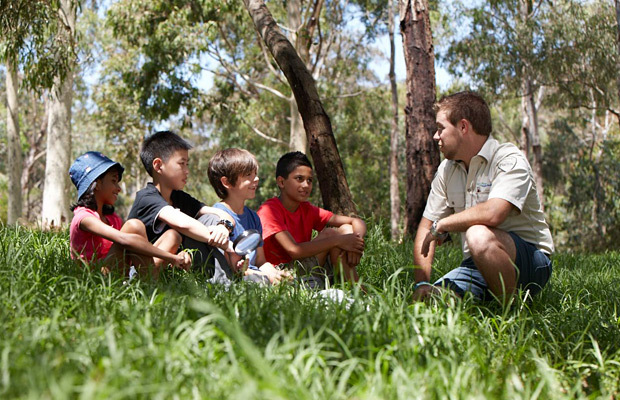 All Junior Ranger activities are FREE, however bookings are essential and can be arranged via www.juniorrangers.com.au. Please note: children must be accompanied by an adult at all times. Our kids will LOVE this, thanks!